Klip Gallery: Moz – How can we help you today? 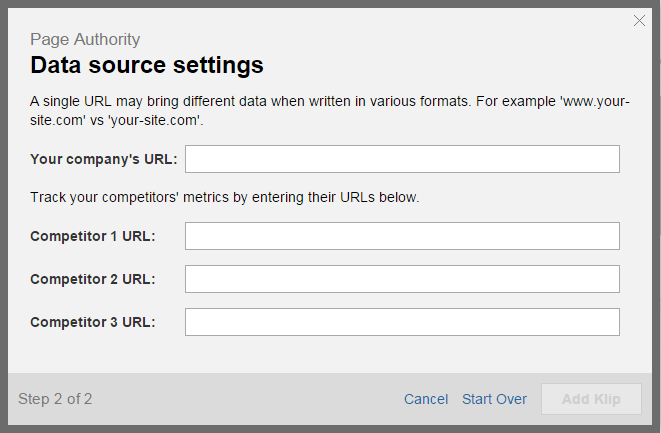 Monitor and optimize your web presence with Moz Klips on your dashboard. Find out how to connect your Moz Klips from the Gallery. Find out how to connect your multi-service Klips from the Gallery. 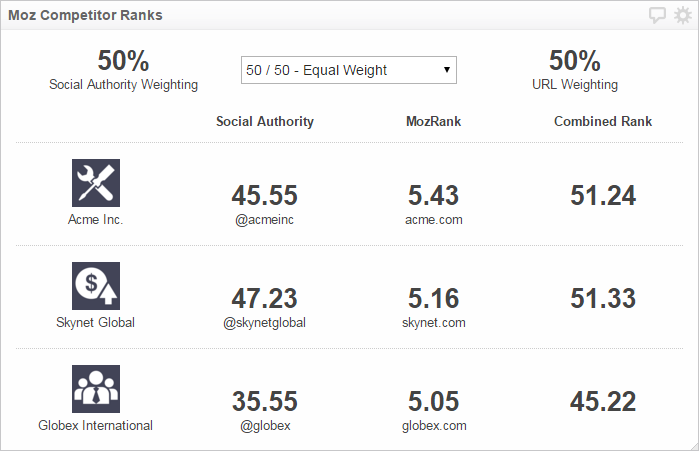 Data sources include: Twitter, Moz, and Followerwonk. On a new tab, Log in to your Moz Pro or Community account. Then, click the following link: https://moz.com/products/api/keys. Select Manage Mozscape API Key. Under Credentials, copy your Access ID and Secret Key, and paste it in Klipfolio Dashboard. Enter any URL(s) that interest you. Note: You will get different results for "www.your-site.com" and "your-site.com". To learn more, see this article: Canonicalization. 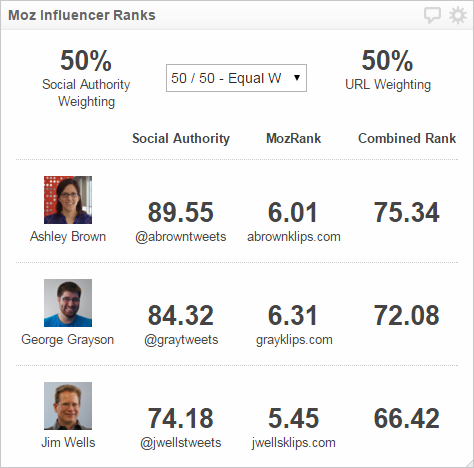 The following Followerwonk link open in a new tab: https://moz.com/followerwonk/social-authority. Use the drop-down menu to select an account or select connect new account. If you are connecting a new account, enter your Twitter username and password and select Authorize app. Then, on a new tab, open the following link: https://moz.com/products/api/keys. Under Credentials, copy your Access ID, Secret Key and paste them in Klipfolio. Navigate to this exact URL: https://moz.com/followerwonk/social-authority. In the popup Get your Social Authority Access Credentials, copy your Access ID and Secret Key into Klipfolio. When building your first Klip, get to know the Klip Editor by following our Build-a-Klip tutorial.